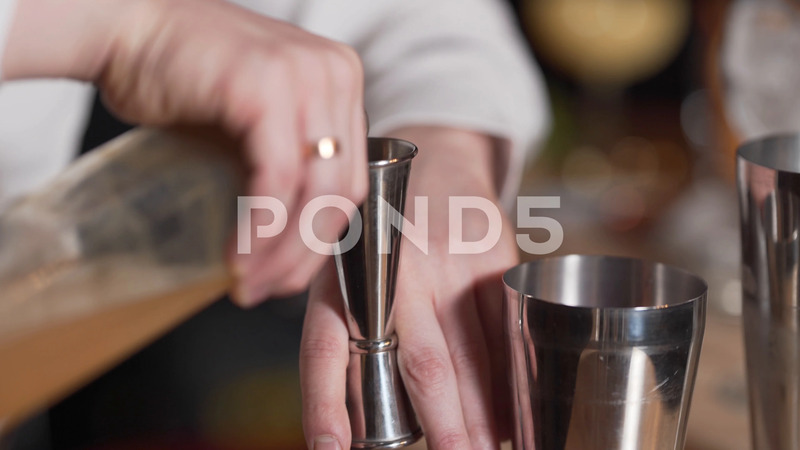 Close-Up Of Bartender's Hands Mixing Liquids For Alcoholic Cocktail. Description: Close-up of bartender's hands mixing liquids for alcoholic cocktail. Nightlife concept. Beverages.